Blue Pepper restaurant serves a fine-dining-meets-rijsttafel version of Indonesian food. 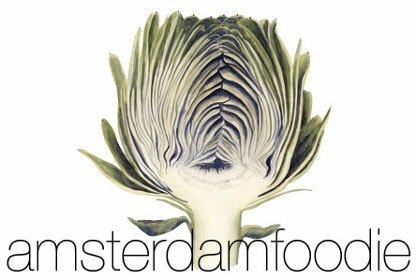 10 years since her last review, the Amsterdam Foodie goes back. Amsterdam Foodie's reviews are as honest and objective as possible. Consider supporting this blog and other independent voices like it. The Amsterdam Foodie goes in search of the best restaurants in Dubai - from fine dining to budget eats. Get your guide to food in Dubai here! In search of the best restaurants in Amsterdam's Plantage neighbourhood, the Amsterdam Foodie taste-tests brunch and dinner at Box Sociaal. On a mission to find Latvia's Best Restaurants, the Amsterdam Foodie explores Latvian food and the Riga restaurants scene. Discover where and what to eat! Ever on the hunt for good tacos in Amsterdam, the Amsterdam Foodie reviews the Mexican food at restaurant Flora. Pancakes, crepes, pannenkoeken: whatever their form, they make an excellent low-budget meal. You mustn’t visit Amsterdam without trying its famous pancakes! For 48 hours, I ate and drank my way around as many Hamburg restaurants and bars as I could. The result? My foodie guide to restaurants in Hamburg. Heikotel – Hotel Am Stadtpark is excellently located and costs from €80 a night for a double room. In the Winterhude neighbourhood, it’s a 5-minute walk from the metro station.